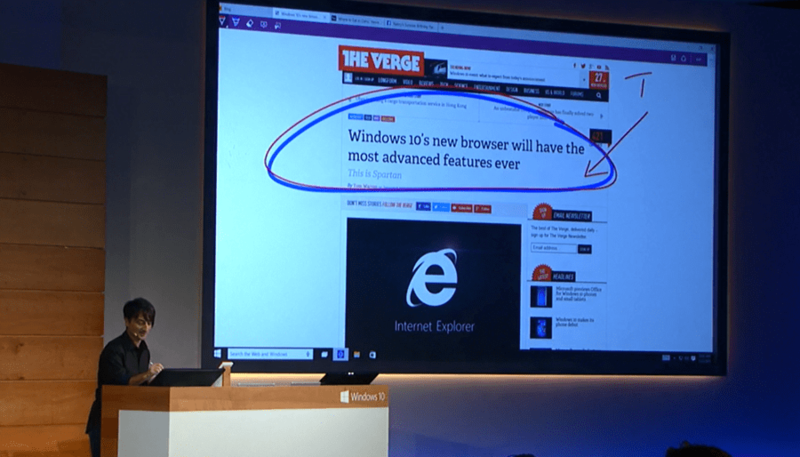 There’s been a lot of talk about a new browser coming to Windows 10. 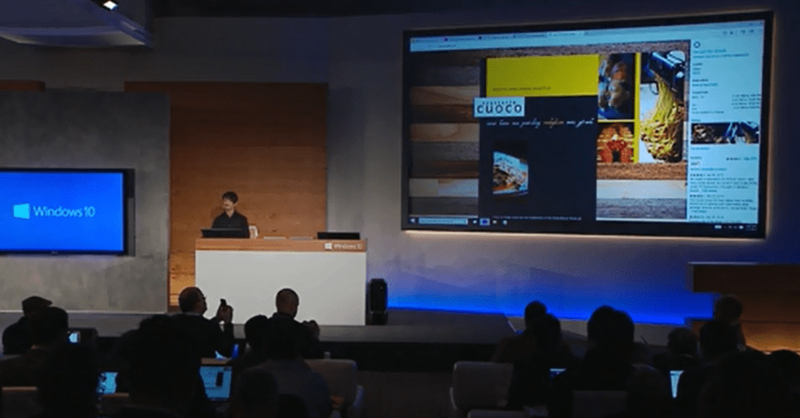 Project Spartan has just been shown off during the Windows 10 event and it’s confirmed it will run a brand new rendering engine (no word on what that is), that is build for modern browsing. A new feature for Annotations on web pages will be available in Spartan. This works on touch devices with a pen, but also with a mouse using the snipping tool and the content is easily sharable through the charms menu. 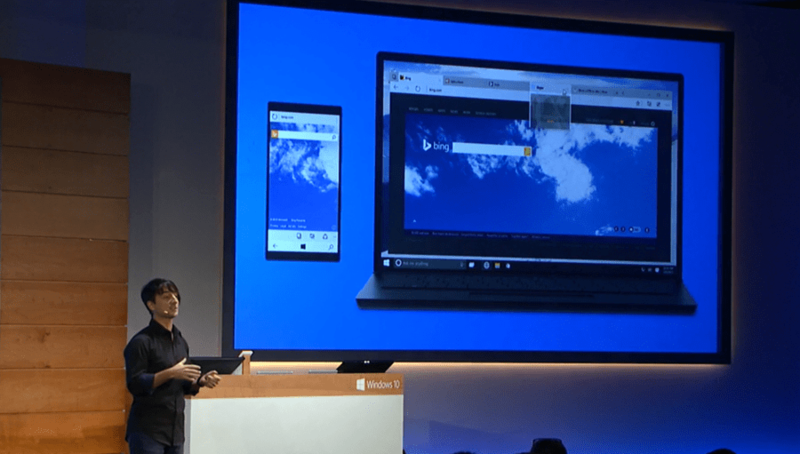 Spartan will also feature integration with Cortana, allowing you to context-relevant access information. If you’ve told it what food you like/dislike, and visit a restaurant page, not only could it make a reservation for you, it could check their menu for meals you like. The potential here is huge, but will depend on the amount of data you’re prepared to input. 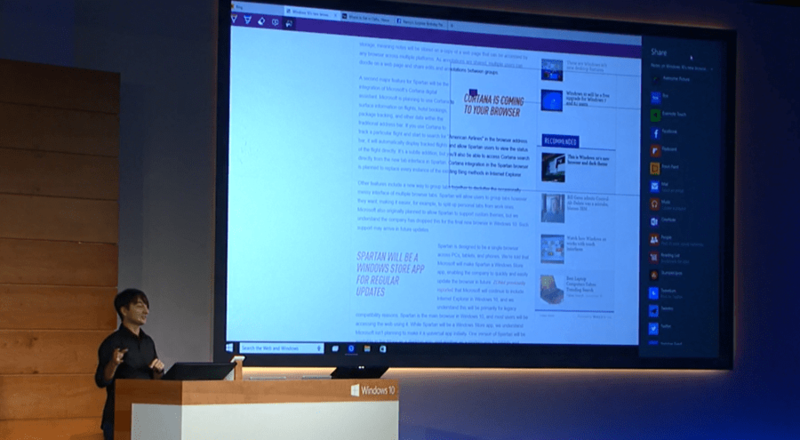 Cortana is available in a panel to the right of the browser and from the demo appears to arrive when needed and go away when you’re done. It’ll be interesting to test how this works in combination to the OS-level Cortana available from the search bar next to the start button. Spartan right now is an early build and won’t be available in the next Windows 10 release, it’ll arrive in the coming months. Spartan right now is a code name, so there’s a possibility that these changes will be rolled into the next version of Internet Explorer.